Nas (above) and Young the Giant are coming to campus Friday for A&O Blowout. Before they come to Welsh-Ryan Arena on Friday for A&O Blowout, here’s all you need to know about performers Nas and Young the Giant. I’m not a rap fan, but I am so excited to see Nas live. Having listened to his album “Life is Good” on repeat several times now, I think back to the first Nas song I added to my iTunes. The soulful “Daughters,” not to be mistaken for John Mayer’s song of the same name, tells a candid account of the hardship that is parenting. 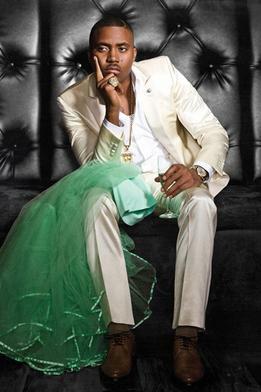 In the song, he critiques his hypocritical parental style and addresses his daughter’s provocative behavior (“She planted/A box of condoms on her dresser and then she Instagrammed it”) in an almost confessional manner. The transparency of the lyrics has not only earned its rightful place in my top 25 playlist, but also serves as a good indication of the direction of the album; each song on “Life is Good” refers to dense subject matter ranging from his high-profile divorce from Kelis to his $6 million tax deficit. What I find refreshing is how the album’s candor strays away from the typical rapper’s lyrics about “living in the hood” or “throwing cash on girls” (take note, Big Sean). Sure, Nas makes reference to his youth in the hood and his meaningless relationships with women, such as in album opener “No Introduction,” but instead of focusing on what seems like an identity crisis that is so prominent with other hood-turned-classy rappers, he tells a story of hardship that evokes sympathy. In his album, Nas employs the help of strong vocalists, such as Mary J. Blige in “Reach Out” and the late Amy Winehouse in “Cherry Wine,” as well as A-list hip-hop producers Salaam Remi, J.U.S.T.I.C.E. League and No I.D. With his poignant lyrics, powerful team of support and strong live vocals, I’m sure Nas will impress Friday. I have yet to meet a person who has actually listened to Young the Giant’s music, which is a shame. They are the kind of band I feel everybody would enjoy listening to — an indie band that would appeal to a mainstream audience. Formed in Orange County, the culturally diverse band contains members of Persian, British, Indian and French-Canadian descent. Their eponymous debut album churned out chart-topping singles “My Body” (this was my jam for like a month), “Cough Syrup” and “Apartment,” earning them the title of third-best rock album of 2011 from Amazon.com. Their sound can be likened to that of The Vaccines and Peter, Bjorn and John, for which Pitchfork.com has criticized them for being “corporate indie.” However, because they have generally awesome concert reviews and pleasant melodies, I personally cannot wait to see them perform and I definitely hope they gain more recognition after the concert.